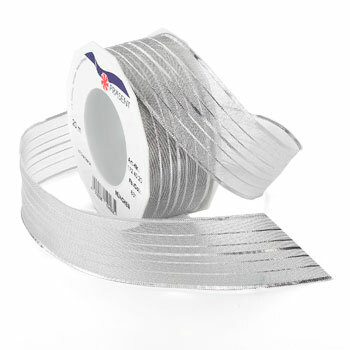 Munich is a wired metallic stripe ribbon. It is fantastic for making Christmas bows for your decorative wreath. This ribbon is available in silver and gold and 2 widths.